If you are a regular reader, then you know that I am not a fan of save the dates. That said, I saw this cookies and fell in love! They are so adorable! The Flour Pot will also make a cookie with your monogram on it for less than $4 per cookie. 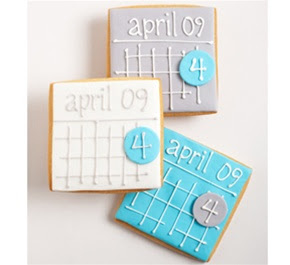 I think they would be perfect for an engagement party or to ask your bridal party to save the date! What a great idea! It's fun and attention grabbing.